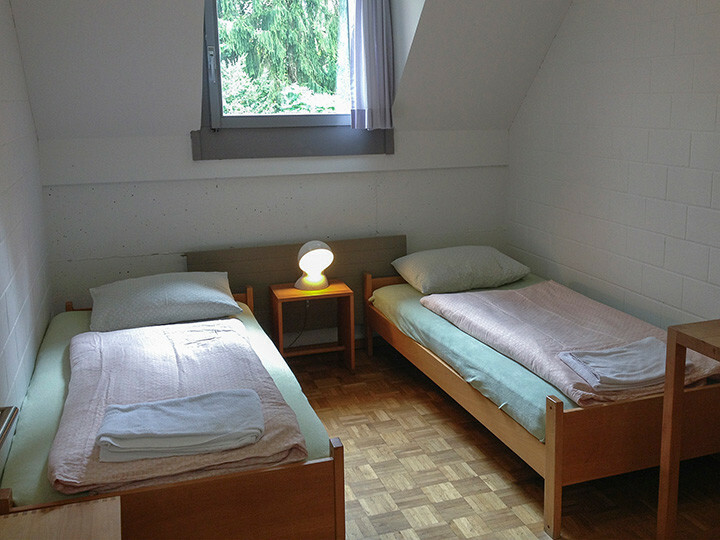 The hostel Lucerne with a beautiful location on the Rotsee, in the middle of the Central Swiss mountains. 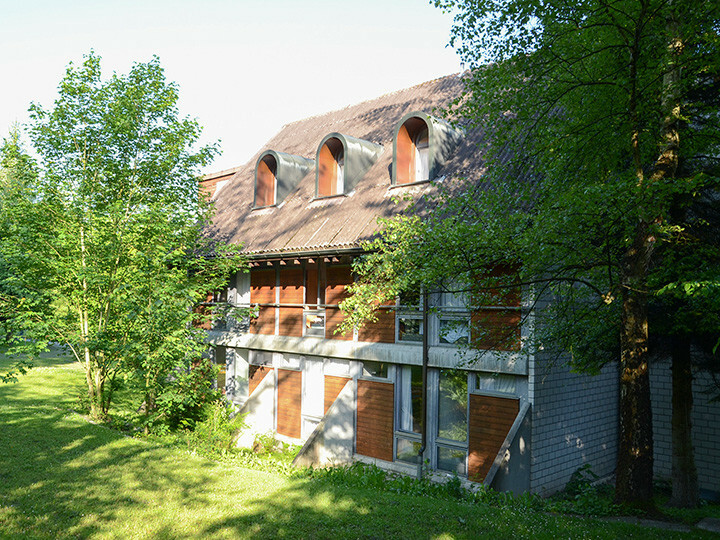 Stroll down the lakeside promenade, admire the splendid guild-houses in the fabulous old town, conquer the surrounding mountain peaks, meet people from all over the world and pop back to the youth hostel now and again for a rest. 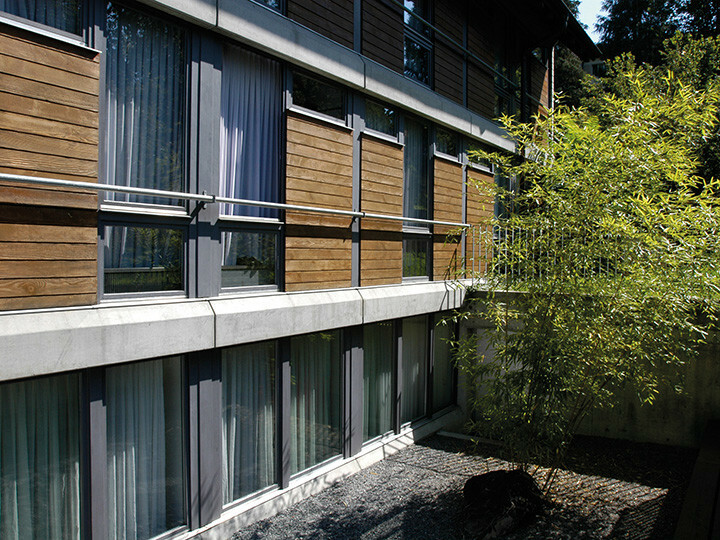 Lucerne has retained a great deal of the quality of life which makes its guests feel at home. Not for nothing do people go into raptures about its gorgeous location on the lake in the middle of the mountains of central Switzerland! 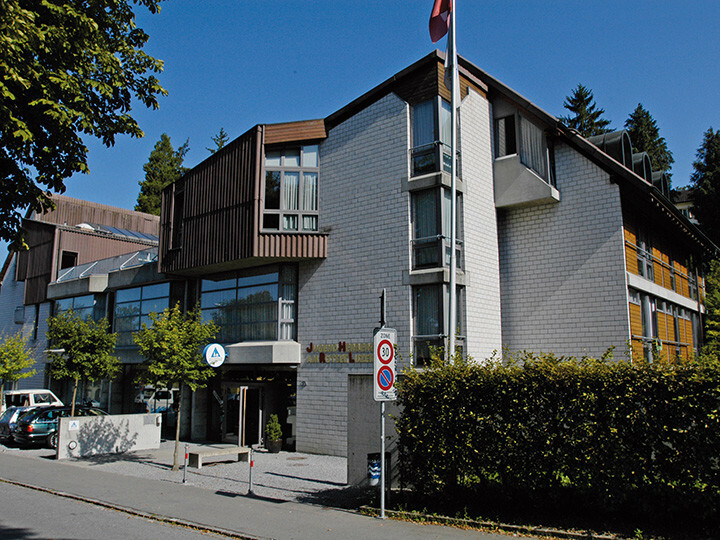 The Lucerne youth hostel is a really international place. Here you will actually feel the global attraction of Lucerne, the "city of lights", simply a must for many people who travel in Europe. 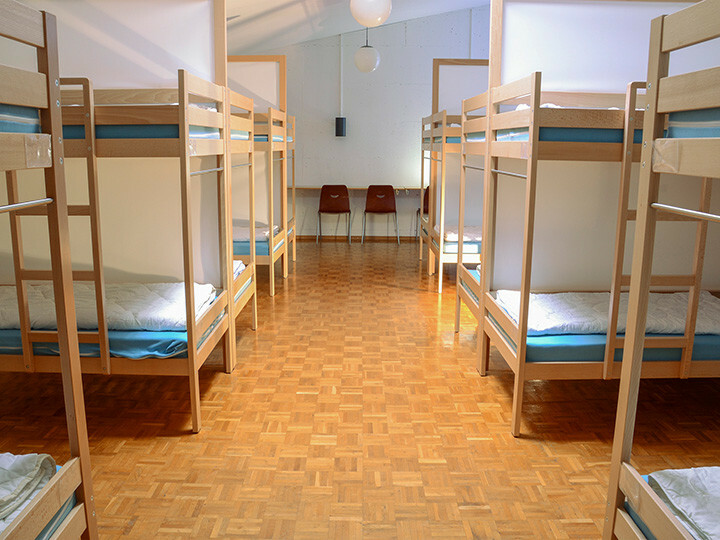 This makes the 206-bed hostel with its cheap options for bed and board just perfect! 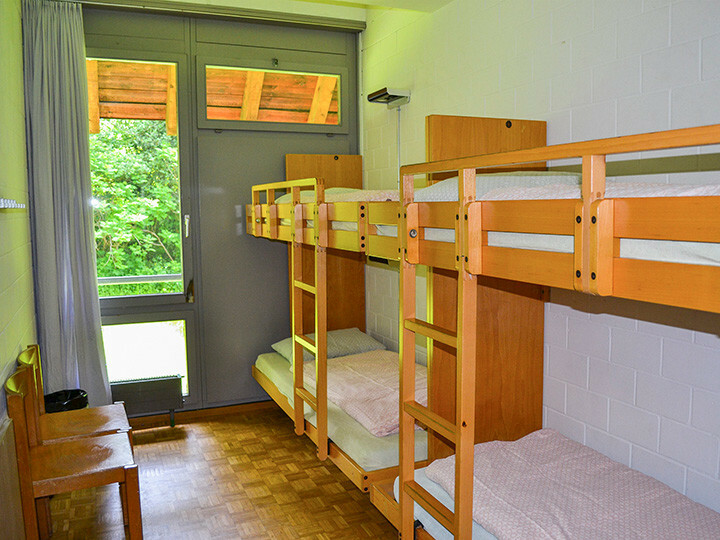 The functional bedrooms, most with two to six beds, are one thing. 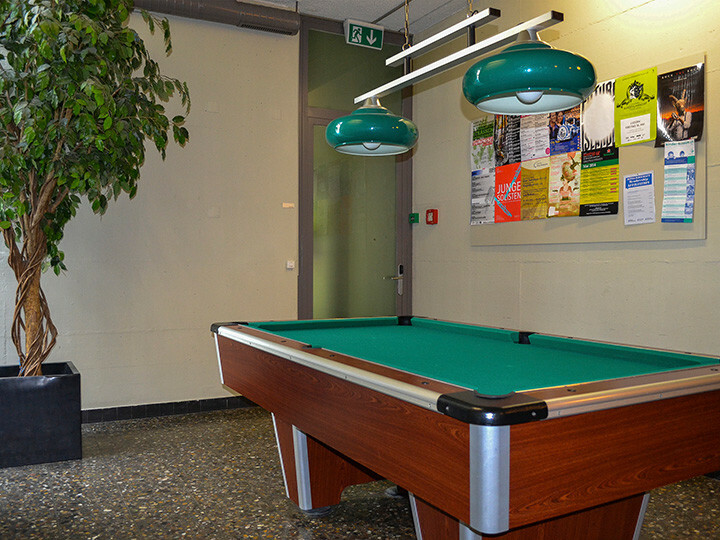 Almost more important are the meeting places in the hostel: the spacious entrance hall on the ground floor thrives on the international atmosphere of the guests. 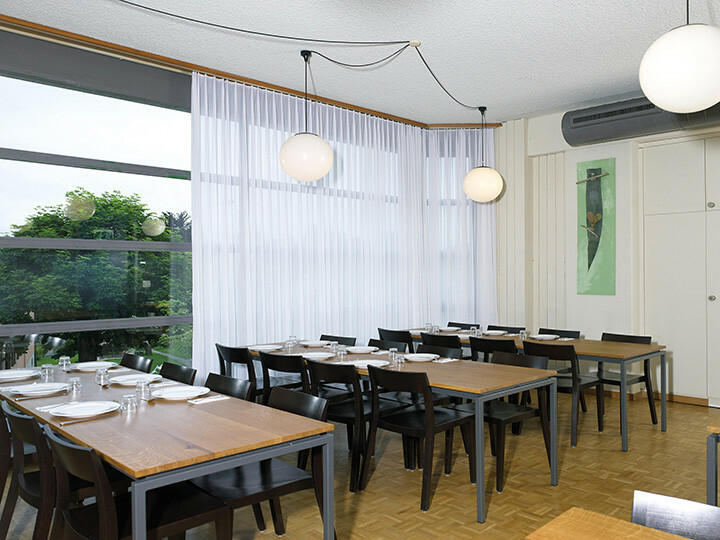 Furnished in a modern style, it provides an ideal meeting point. Guests who are just checking in hang around here, as do those who have just returned from conquering the city and want to rest for a while before sampling the nightlife. Right next door are the library with reading room. And if you fancy a snack between the generous breakfast and the evening meal, you can always get one. 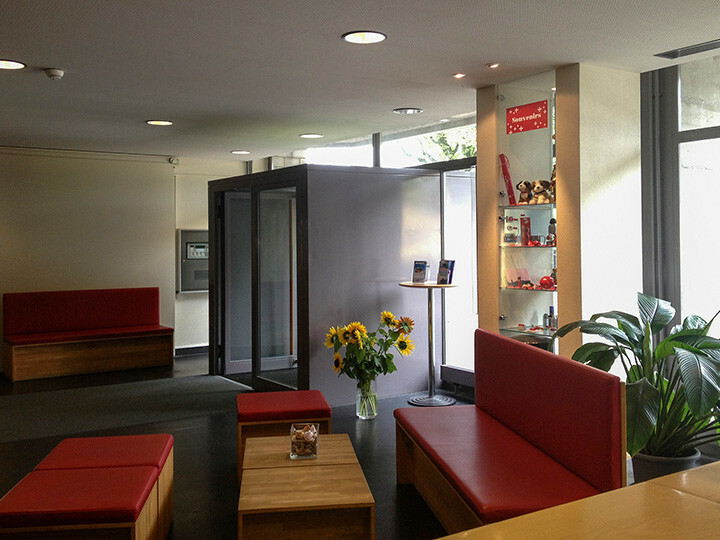 Additional tax of 1.90 CHF is payable at check-in. 68km Zurich-direct trains after Lucerne. From Lucerne train station bus 18 or bus 19 ap AP hostel Rosenberg, then 5 minutes walk to hostel. Parking for cars and buses - limited spaces, advance reservation is recommended.